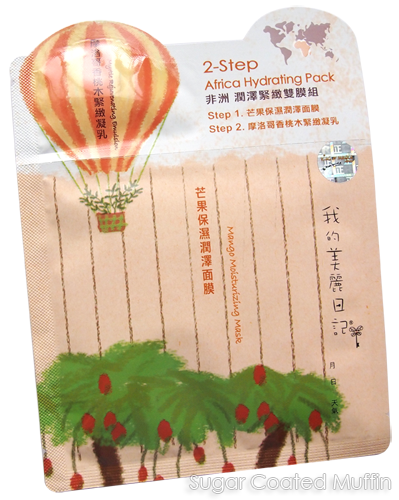 Among the newer My Beauty Products are these 2-Step masks which consist of a sheet mask and a sachet of serum. There are 5 types with their own functions. 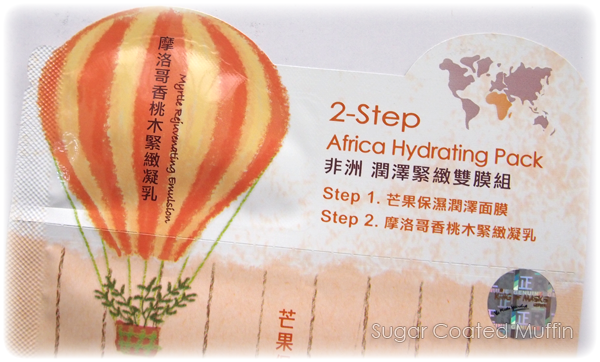 The one I have is the 2-Step Africa Hydrating Pack which comes in this cute packaging. I think this is the first time I'm seeing a mask like this. Is that supposed to be a mango tree...? 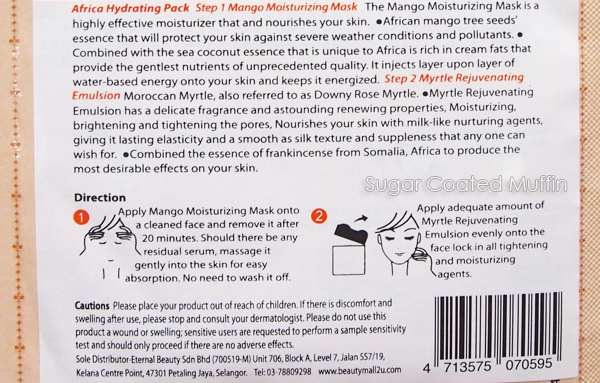 lol First up is the Mango Moisturizing Mask. 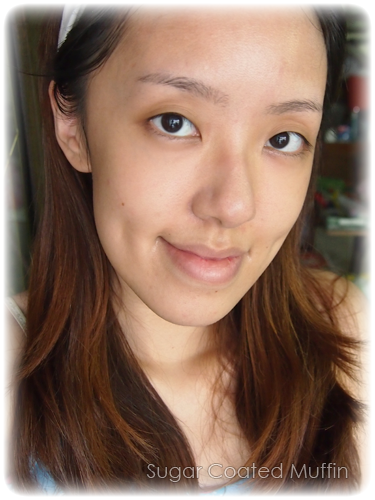 As usual, thin sheet that fits well (although not perfectly on the upper lip). This one is very moist but it did drip twice. After 20 minutes, I smell like a mango! 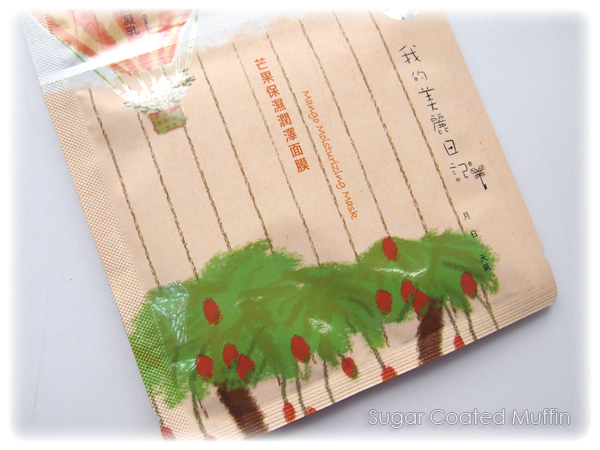 Wearing this mask, you might think there are real slices of fresh sweet mango on your face. Yums! There is still an abundance of essence on my face. Massage it and let it be. It will slowly absorb. 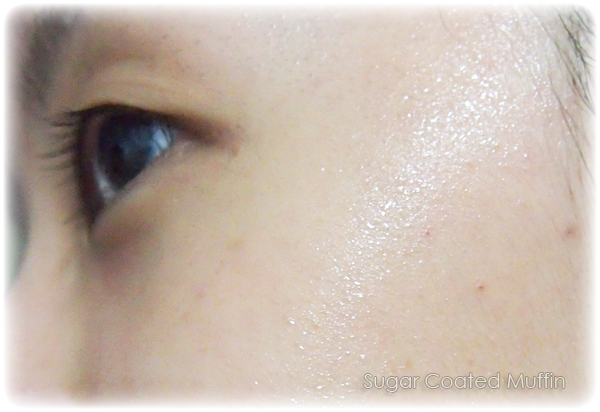 Then you can proceed to step 2, the Myrtle Rejuvenating Emulsion. 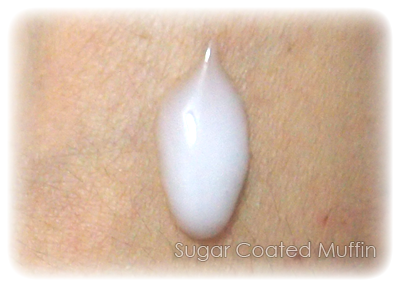 It's white and creamy but not too thick. Spread it between my palms and massage onto face. 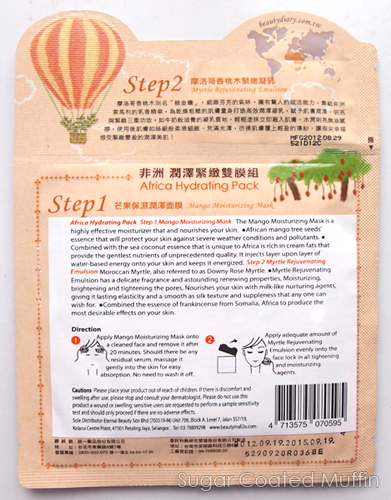 There's way too much in the sachet for one application. Smells really refreshing which compliments the earlier mango. Having a tropical feast on my face right here! 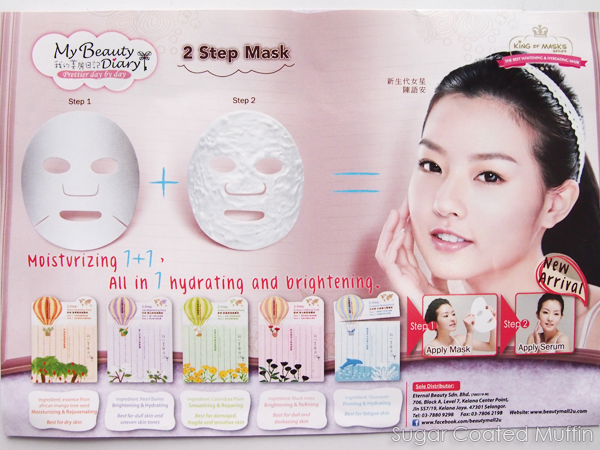 Although it initially felt heavy with the mask essence + step 2 emulsion, surprisingly everything sank in and left my skin feeling powdery smooth, hydrated, soft and brightened. I have to try this now, I love mango!! !